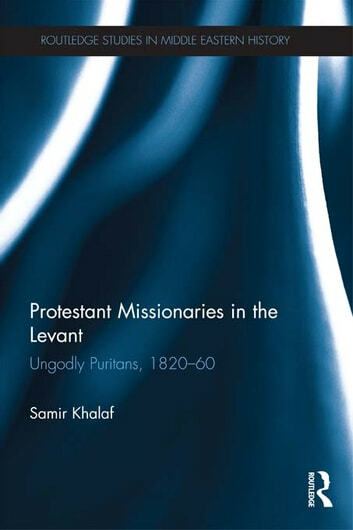 Through focusing on the unintended by-products of New England Puritanism as a cultural transplant in the Levant, this book explores the socio-historical forces which account for the failure of early envoys’ attempts to convert the ‘native,’ population. Early failure in conversion led to later success in reinventing themselves as agents of secular and liberal education, welfare, and popular culture. Through making special efforts not to debase local culture, the missionaries’ work resulted in large sections of society becoming protestantized without being evangelized. An invaluable resource for postgraduates and those undertaking postdoctoral research, this book explores a seminal but overlooked interlude in the encounters between American Protestantism and the Levant. Using data from previously unexplored personal narrative accounts, Khalaf dates the emergence of the puritanical imagination, sparked by sentiments of American exceptionalism, voluntarism and "soft power" to at least a century before commonly assumed.